Popojito is MED MEX: Beyond Delicious! 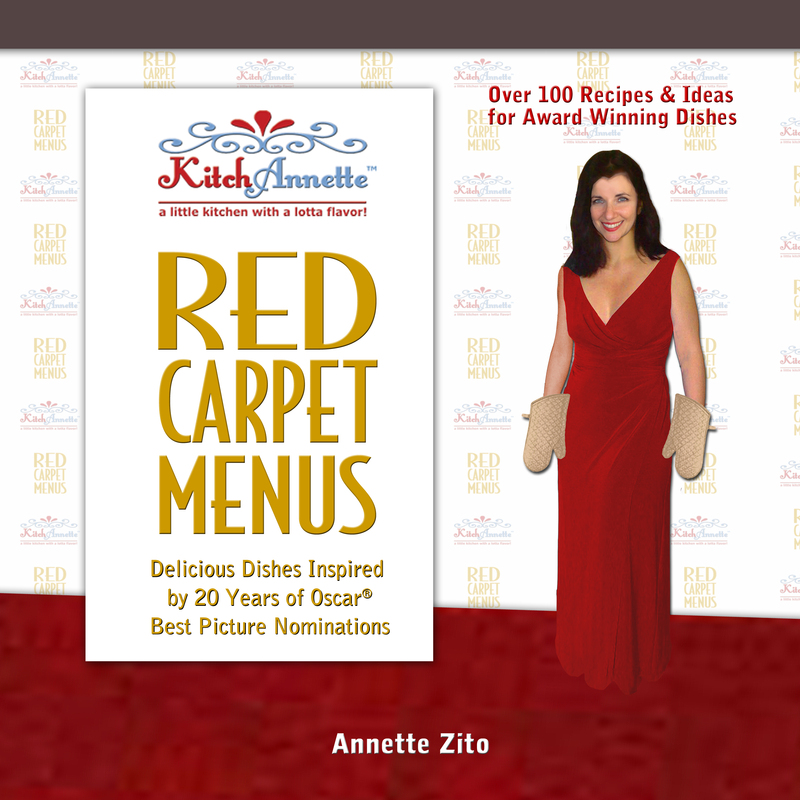 Instead of sharing one of my recipes this week, I am delving into doing some restaurant reviews. These will be IN ADDITION to my usual recipes because I want to celebrate those courageous people who, against all odds, decide to share their love of food OUT LOUD for our enjoyment. It’s not a small thing. But don’t feel left out if you’re not in the area or may not get to experience these places. Let the menus inspire you. Let their creativity shake up your kitchen. YEAH! 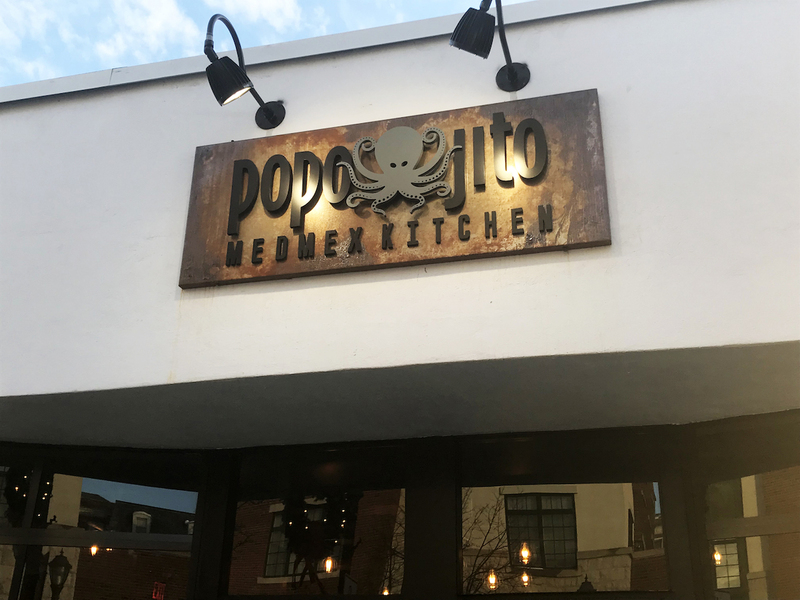 Now let’s indulge in a delicious new restaurant in Scarsdale, NY called Popojito. 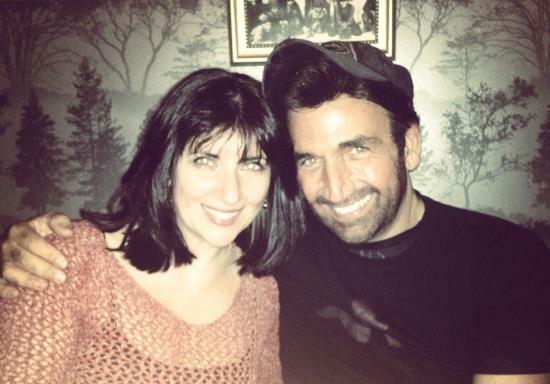 It was last Sunday that I met with my wonderful friend, playwright Joe Gulla, to catch up with our respective lives. I drove to his house to pick him up with Atlas Genius‘ Trojans (Lenno Remix) BLASTING on the car stereo, windows wide open despite the freezing weather, as I pulled up. In true Joe fashion, when he heard the music, he busted some awesome moves! In the driveway. As if it was his well-rehearsed cue. Now THAT’S a true professional! The mood was set for a fun afternoon. The original plan was to go to Manhattan and check out the latest exhibits at MoMA and the Met but… well… it was COLD! Really blistery! The better plan was to stay local in Westchester, have something delicious, and talk the day away. We usually don’t have a destination in those moments. 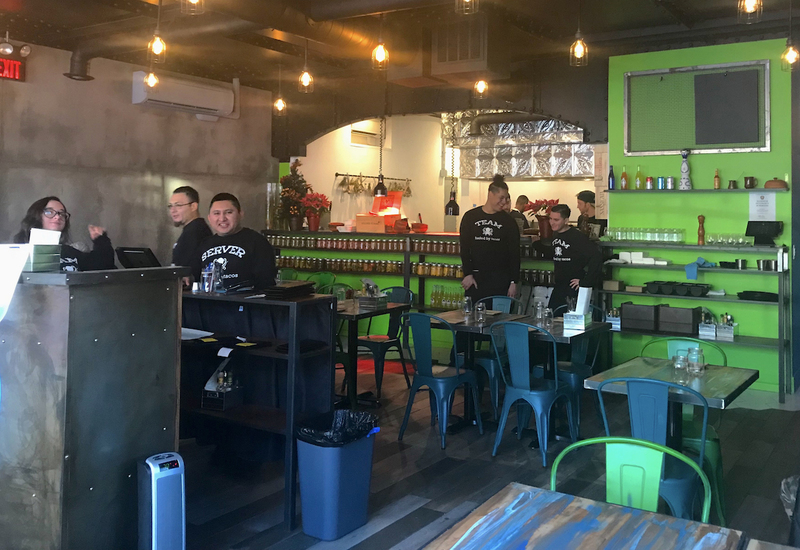 But Joe mentioned this new place that he’d wanted to try called Popojito. I wanted something bright and inviting where we wouldn’t be rushed out. And so we entered the wonderful world of MED MEX! The decor is bright but cool… warm but smart. It has a great vibe. The staff is extremely dedicated, knowledgeable, professional, and accommodating. The place was almost to capacity at 2:00p on a Sunday afternoon – a great sign! And there was a table for us. Post early seating, the staff stands at the ready for the next rush, which arrived soon after. The menu was so exciting. 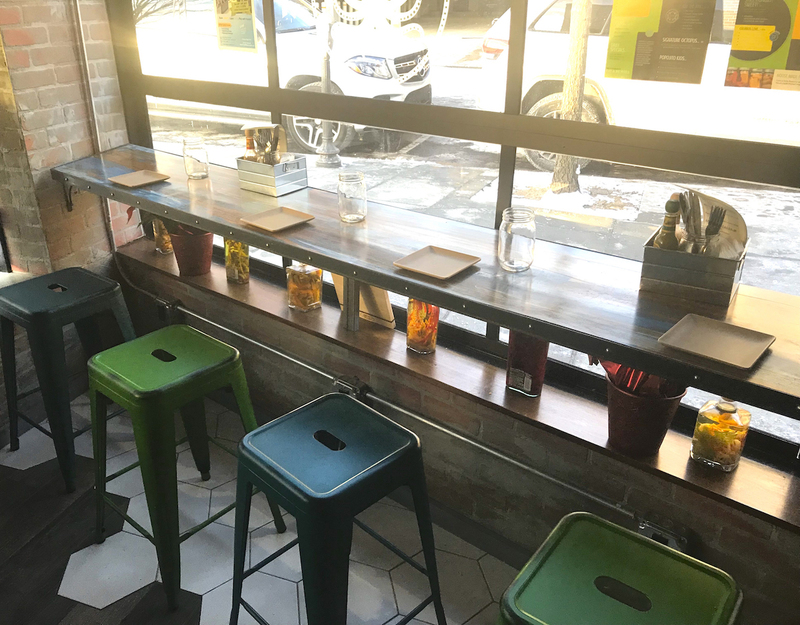 The first thing to know about Popojito is that it’s a gluten free environment. Their menu is 100% gluten-free. NO gluten-based products are used. They believe in the power of healthy food, fully organic, locally sourced ingredients. No GMOs, antibiotics, refined sugar or trans fats! Now that we knew the quality is outstanding, we dove into the many delicious options and we certainly went to town! We ordered the Spicy Melted Eggplant Salsa. I didn’t want to eat any chips and was pleasantly surprised with a vegetable bowl with carrots, cucumbers, celery, and cauliflower, all sliced to be the perfect dippers. This salsa was just wonderful. It was a perfectly whipped flavorful delight. The spicy promise was there but it wasn’t “hot”. Ready to move to the next dish! To add a bit of decadence, it was on to the Yuca Fries. These could put the potato people out of business. Light and crispy, dressed with Salsa Verde and Mexican Cheese, they were fabulous! I was a little obsessed, to be honest. Joe delved into what we thought would be a simple taco. Oh nooooo… it was glamorous and delicious! 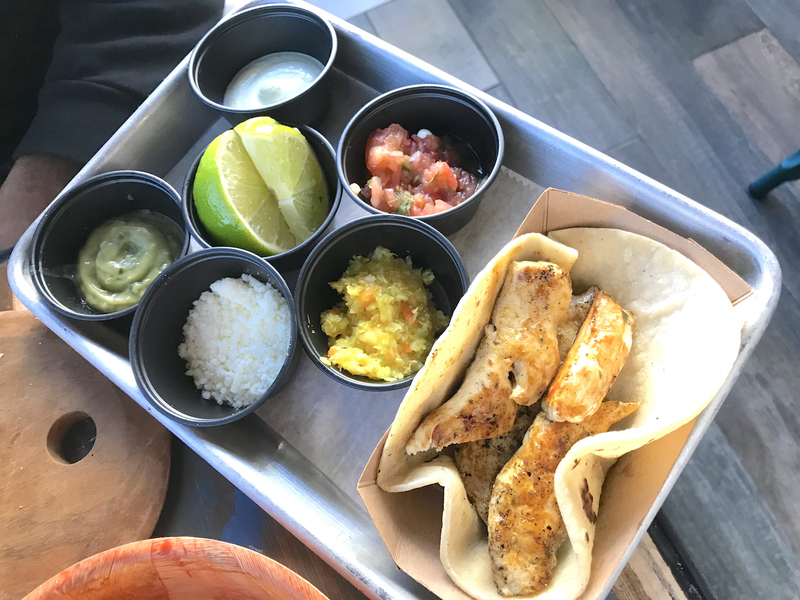 This Mezcal Lime Chicken Taco was splendidly delivered. Cheese, Lime Crema (oooooh yes), pico de gallo, lime… COME ON! This taco is an EVENT! And really yummy. We weren’t done yet. For our final dish, we wanted wings! The Med Mex Chicken Wings are made with Popojito’s house hot sauce and besides the standard celery and carrots, are garnished with that delectable lime crema! The hot sauce was the perfect balance of spice and sweet with a great wave of heat on these meaty wings. 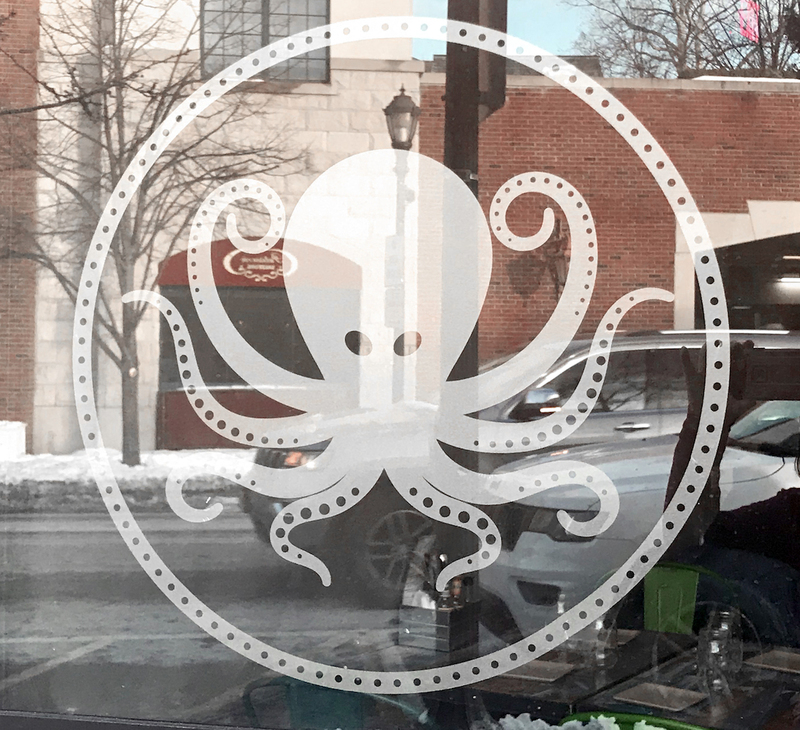 While they wait for their wine and beer license, they happily invite patrons to BYOB. We were there for quite a long time, engaging with the lovely Popojito peeps and deep into our creative conversations. We came in as the place was packed, stayed as it cleared out with a few new people arrived and left, and finally bid them adieu as they were out-the-door packed again. 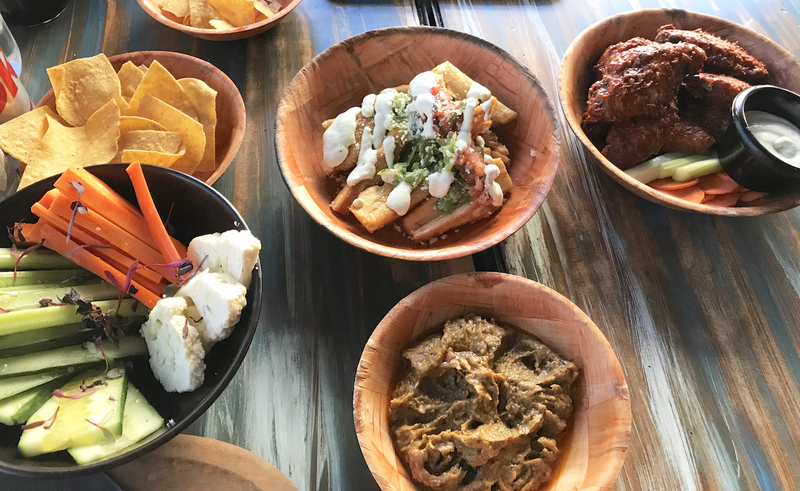 Their MED MEX charm celebrating Mediterranean classics melded with Mexican sensibility is spot-on. Bravo, Chef Richard! You’ve won us over. Check out the recipe below, courtesy of Popojito! Go. Indulge. Enjoy. Tell them KitchAnnette sent you. 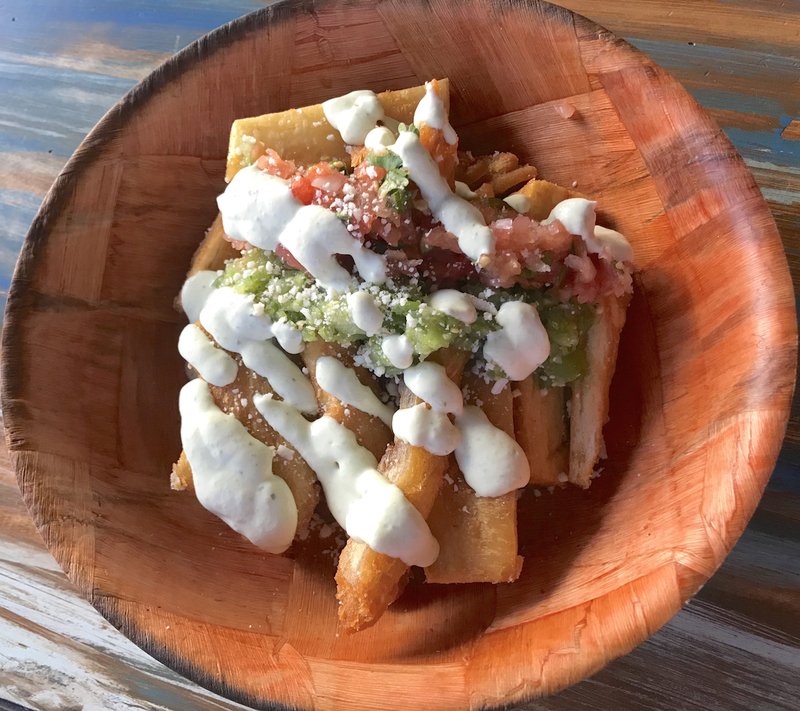 The wonderful people at Popojito have permitted us to share this delicious recipe with you so in case you can't get to Scarsdale, you can have a taste of their wonderful fare. Marinated for 3 hours prior to serving. Lightly fry tortilla to a crisp. Mix all ingredients to taste balancing the salty and spicy with the cilantro. Pour into tortilla bowl and serve to guests! « Raise a Glass to the Golden Globes with Champagne Chicken!